This month I’ve completed 170.8 miles, including 2 races, and have now completed almost 80% of the 2013 miles in my 2013 miles in 2013 challenge. So far this year I have completed 11 races including my first FULL MARATHON! My races this year have included the Disney 5k, Gloucester 10k, Adidas Silverstone Half Marathon, Warwick Castle Half Marathon, Plymouth Half Marathon, Edinburgh Marathon, the Two Castles 10k, the British 10k London Run, the Isle of Wight Half Marathon, the Apperley Quarter Marathon and the Great North Run. Why Am I Doing 2013 Miles in 2013? The first person to commit to sponsoring my 2013 mile challenge has committed to 1p per mile (£20.13 in total) and this got me thinking. I am hoping that as many as possible of those reading this will commit to do the same and the best thing is, if each person does this on a “pay as you go” type approach all you will need to part with is approx £2 just after each pay day. In January I completed 205.9 miles, in February I completed a further 200.9 miles, in March I completed 185.7 miles, in April I completed 192.1 miles, in May I completed 168 miles, in June I completed 145 miles, in July I completed 210.1 miles, in August I completed 130.7 miles and in September I completed 170.8 miles. 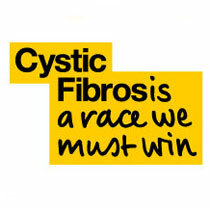 If you can please spare £16.09 (my mileage so far) to help the Cystic Fibrosis Trust it will be greatly appreciated.